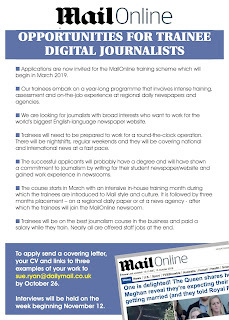 I said goodbye to ten MailOnline trainees on Friday. 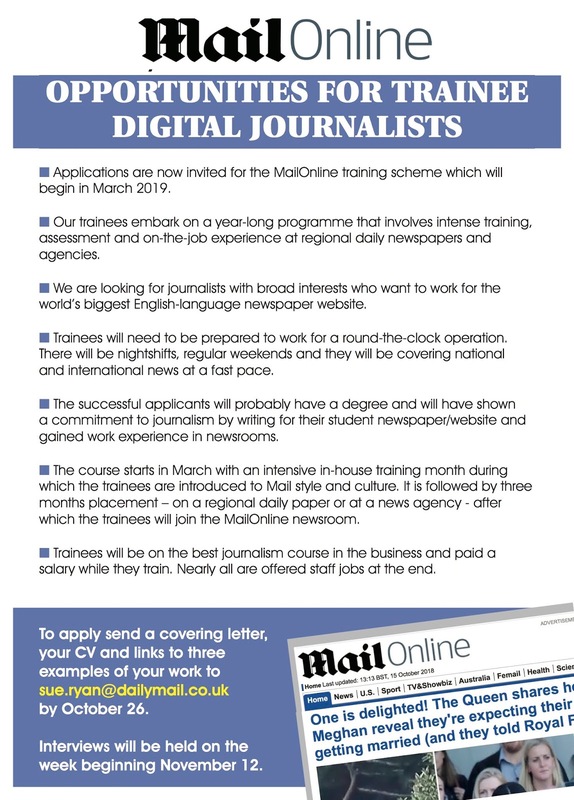 After four weeks training at the Mail offices in Kensington they are starting their placements on regional newspapers and at agencies this week. They will return to the Mail in February. We are now looking to recruit the next set of trainees who will begin their training in March. If you are interested please send your CV, covering letter and three examples of your work to sue.ryan@dailymail.co.uk by October 26. The details are on Hold the Front Page here and Journo Resouces here.